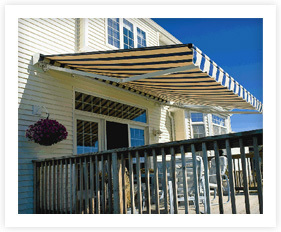 The SolarShield Retractable Awning is Toff’s top-of-the-line model for outdoor mechanical sunshades. 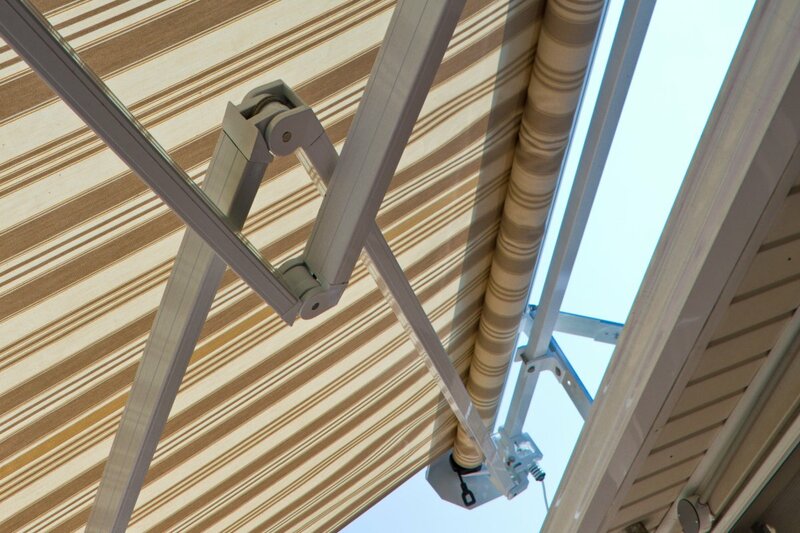 This remarkable shade is the only retractable lateral arm awning with a spring-loaded shoulder — designed to withstand the impact of strong winds, heavy rains, and intense storms. The strength and durability of the SolarShield reduces impact on both the awning and your home, decreasing the potential of stress-related damage due to inclement weather. SolarShields come with manual and electronic retraction options, all of which are made from stainless steel hardware and cables. The three-to-one bevel gear makes for smooth manual operation and light and durable aluminum frames are easy to manage by either hand or motor. 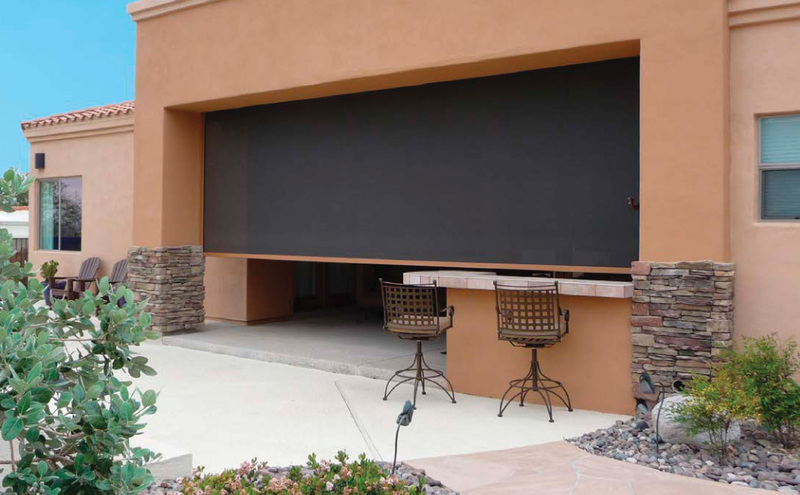 In addition to the strong, corrosion-resistant frame, SolarShields feature tough acrylic fabrics designed to weather intense heat, sun, rain, and even cold weather. 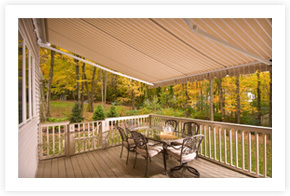 Toff uses solution-dyed acrylic fabrics for SolarShield retractable awnings, fabrics known and tested for their color fastness, strength, and stain resistance. 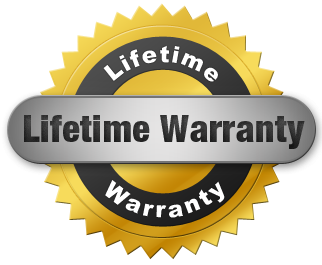 This means the SolarShield awnings are up to 20% more water repellant than competitors and come with a ten-year limited warranty on fabric. 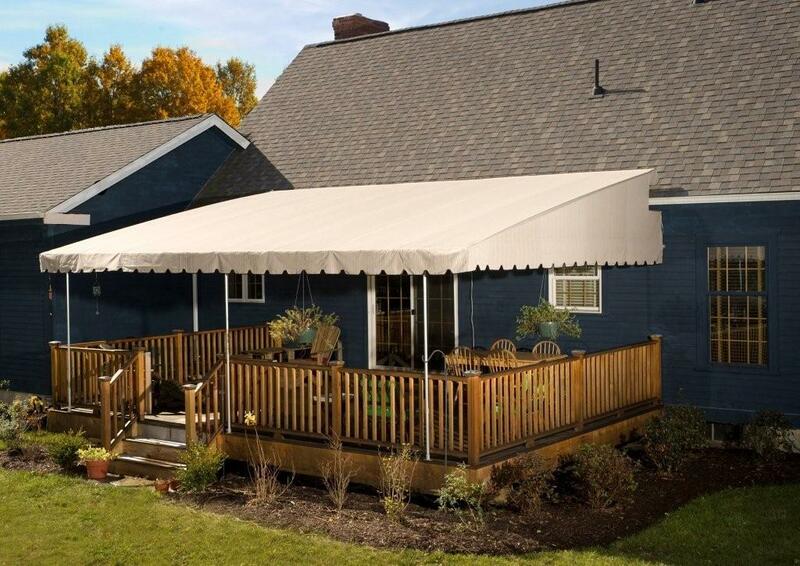 SolarShield Retractable Awnings offer you the only lateral arm awning system complete with a spring-loaded shoulder joint to resist the shock of wind load. 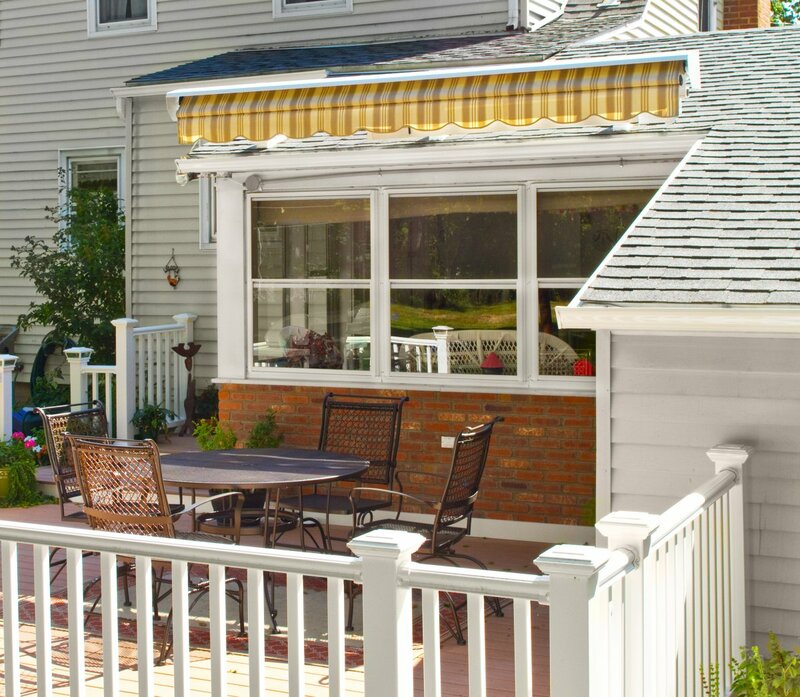 For commercial and residential patio and porch awnings, Toff specializes in durable, high-quality sunshades designed to withstand both weather and time.